A collection of Paradise Islands..
Each Caribbean island has its own unique personality, people and culture, which you can experience through the vibrant architecture, intoxicating food, upllifting music and of course the world-famous fiesta’s. Caribbean people love life, and most definitely know how to live it to the full! Real estate in the Caribbean is just as perfect as the surroundings, and the many people buying homes here each year will tell you just that. We have a huge range of homes, land, and commercial buildings to match all tastes and budgets. Whether you are after a tropical hideaway, a home in the city, a lot of land to build your dreams on, or a commercial property for investment purposes, you will find it here. Known as a little pearl of the Caribbean, Aruba is part of the Lesser Antilles the Caribbean Sea. It has a wonderful laid back lifestyle, together with friendly people, and a very rich history, with lots of historical monuments and buildings to explore. The island benefits from excellent weather all year round, so is perfect to enjoy being outdoors with friends and family, any time you want. Aruba has a fantastic variety of beaches, some with water sports, little tranquil bays, long white sandy beaches, perfect to just relax, and more. Aruba’s restaurants are second to none, serving everything from local dishes to international cuisine, with the freshest fish available. If it is entertainment you want, you will find lots of venues with entertainers and music to dance the night away. The Bahamas is made up of 700 islands, and more than 2,000 islets and cays, many of which are almost completely untouched. Although Nassau, Paradise Island and Grand Bahama are the most popular vacation destinations, there are many other out islands which are perfect for a relaxing getaway. Thousands of visitors choose the Bahamas for their vacations each year, many of them choosing to purchase their very own island retreat. We have a large selection of homes available on all our islands, including ocean view villas, condos, single family homes, and more, most of which benefit from stunning views. The Bahamas has absolutely perfect weather ideal to enjoy the sandy beaches, clear waters, and of course the water sports and many other outdoor activities. With delicious local cuisine, intriguing history and culture, and friendly locals, The Bahamas is the natural choice for your main or second property. Bermuda has it all, not only is it the perfect place for a great vacation but it is also the perfect choice for a new life in tropical surroundings. The island has so much to offer including beautiful beaches, activities, water sports, a rich and interesting history and culture, and some of the finest dining in the Caribbean. You will find a fantastic choice of real estate in Bermuda, ranging from condos and single family. Bermuda is perfectly positioned just off the east coast of the US, come and visit our enchanting little island to find out why so many people choose this as their place settle. The British Virgin Islands are made up of four large islands, and more than 50 smaller almost untouched isles. Known as one of nature’s best kept secrets, each island has its own unique character. There is no one thing that makes these islands so special, however the unspoiled nature, wonderful scenery, perfect beaches, beautiful weather, and friendly locals are all reasons so many people keep coming back. We have a large selection of luxury real estate on offer here, from beach hideaways to sprawling estates surrounded by the stunning natural beauty, to smaller properties, perfect for use as a weekend getaway or vacation homes. There really is no place like the British Virgin Islands. 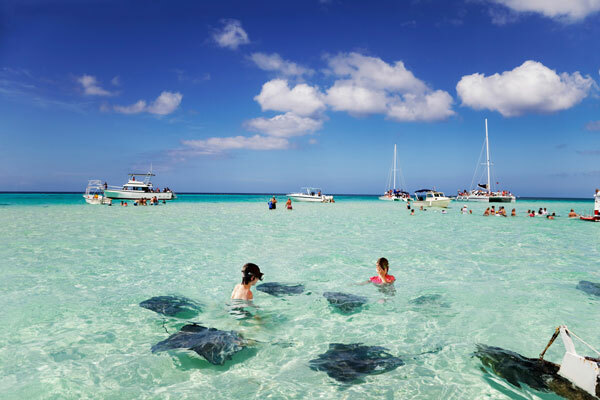 For some of the best tropical weather in the world, come to the Cayman Islands. This wonderful little cluster of three islands is situated right in the middle of the Caribbean sea on the edge of the Cayman Trench, which is the deepest part of the Caribbean. The Cayman Islands include, Grand Cayman, Cayman Brac, and Little Cayman, all three of which have their own unique characteristics and attractions. Whether you are looking for fun activities, and exploration, or complete relaxation, you will find it in the Cayman Islands. The choice of real estate is varied, so if you are looking for your own piece of paradise, look no further than the Cayman Islands. Curacao is situated in the Caribbean Ocean and is the largest of the ABC islands (Aruba, Bonaire and Curacao). The island is described by many as a tropical paradise thanks to the beautiful climate, which makes outdoor living a part of everyday life. Curacao has been inhabited by many different civilisations over the years, creating a fascinating history and a unique culture. Curacao also has colourful architecture, beautiful beaches, lots of activities, and much more. We have a fantastic range of properties available here on our beautiful island, so whether you are looking for a vacation property, a permanent home, or even an investment property, we will have something to suit you. The Dominican Republic has it all, with wonderful weather, amazing mountain views, arid desert plains, tropical rainforests, and stunning white sandy beaches. The history of the Dominican Republic is rich and fascinating, and the mix of cultures who have settled there is still apparent in the monuments, traditions, music and food. If you are looking for a new home in a tropical paradise, look no further than the Dominican Republic. We have a huge selection of properties including beachfront properties, family homes, and condos in gated communities in all areas of the island with views like no other. We also have land available so that you can custom build your own dream home, the possibilities are endless! Grand Bahama is a part of the Bahamas chain, which is made up of 700 islands and 2,400 cays, and is the closest island to the United States. When you arrive in Grand Bahama, you will see why so many people fall in love with this island, and choose to make it their new home or the destination for their second home. The history dates back 7,000 years ago, when the first settlers arrived on the island, making use of the sea as a way of living. The sea surrounding the island is still very important to local businesses, with many of the fish served in restaurants being locally caught. There are many activities on the island, and thanks to the beautiful weather, it is possible to enjoy them any time you choose. Grenada, also known as the Spice Island, has everything you would expect from a Caribbean island. This is a unique island with a pure untouched beauty, wonderful weather stunning views, sandy beaches, providing a simple enjoyable way of life. When you take a vacation on Grenada, you will feel completely renewed, and relaxed in the surroundings. The friendly locals are welcoming to everyone, whether you are just visiting, are making the permanent move, or are returning to the island. The cost of living is low in Grenada, there is very little crime, no traffic jams or parking wardens, this is the Caribbean as it used to be. Our beautiful island remains largely undiscovered by crowds, providing new residents with an enjoyable way of life. If you are looking for the perfect place for a new home, Grenada is the place to be. The island of Jamaica has long been a top choice for vacationers, and home buyers alike, not least because of the relaxing and laid-back culture that you feel as soon as you arrive. There are lots of things to do while you are staying in Jamaica, all of which will be accompanied by the bright sun that is almost always shining. There are lots of reasons people choose this island to buy a Caribbean home, not least the beautiful beaches, and excellent weather. There is a fantastic choice of property in Jamaica, so buyers will find villas and luxury homes to fit all budgets. If you enjoy delicious food, fantastic activities, partying until dawn, and a relaxing lifestyle like no other, Jamaica is the place for you! St Croix was discovered by Christopher Columbus, who named it after St. Ursula and her 1,000 virgins. The island provides relaxed island living with stunning beaches, diverse landscapes and an incredible history. Dining in St. Croix is world class with fantastic restaurants serving delicious local cuisine, along with beautifully prepared international dishes. There are lots of activities to choose from in St. Croix, including water sports, and more. We have a wide variety of property to choose from such as beach front villas, luxury condos, and vacant lots with stunning views, to build your dream home or commercial premises. For the real island lifestyle in unrivalled surroundings, St Croix is the place to start your property search. St Kitts and Nevis has it all; sunny skies, white sandy beaches, clear blue waters and perfect weather. The islands have a very rich history, and have had their fair share of hard times, although the economy is very stable today, thanks in part to the booming tourism industry. Known for magnificent cloud shrouded mountains, former sugar plantations, beautiful rainforests and wildlife, these islands are extremely unique. Whether you love water sports, hiking, exploring or relaxing on the beaches, St Kitts and Nevis has it covered. There is a huge selection of property to choose from, and whether you are looking for a small vacation retreat, or a large family home with enough space for visitors, you are guaranteed to find it here. Many people are opting to purchase St Kitts and Nevis Real Estate for many reasons, including the unique citizenship by investment program. St Thomas is the perfect place to enjoy the Caribbean lifestyle with all the comforts of home. Surrounded by beautiful landscapes, clear blue seas, and wonderful weather, you are likely to fall in love with this beautiful island as soon as you arrive. St Thomas boasts excellent facilities for activities both on the water and on land, and there are plenty of things to keep the whole family entertained. Many people love it here so much, that they decide to purchase their very own dream property for vacations or a permanent home. There are many luxury properties available for sale on the island, most of which have absolutely breathtaking views, and plenty of space for all the family. This could be the perfect island for you to buy your next home. The beautiful Turks and Caicos Islands are often referred to as paradise, with their famous stretches of uncrowded beaches, beautiful coral reefs and wonderful weather. Life on Turks and Caicos is perfect, it can be as laid back and relaxed, or as busy as you want it to be. Whether you are a full time resident or simply on vacation, you will find it easy to get used to the island lifestyle of this British overseas territory. Many people are choosing our islands as their new home, and we have a large selection of properties that will suit every taste and budget. Come and see for yourself!